Registration is now closed. Please contact the SIA to register. On behalf of the Safety Institute of Australia, we invite you to take part in a two day Risk Leadership Workshop in Brisbane on Thursday 26 & Friday 27 July 2018. Participants attending the Two Day Risk Leadership Workshop will understand the barriers that prevent ‘Safety First’ becoming an operational reality, particularly within a production driven work environment. During the session, participants will be challenged to undertake a transformation from safety-based thinking to risk-based thinking by which production/productivity, quality work outcomes and EHS incident mitigation are pursued concurrently using a multi-disciplinary approach. Learn through an understanding of the Entropy Model that incidents and losses are caused by residual risk and entropic risk; the latter resulting from degradation of organizational systems (processes, technologies, the physical environment and human resources). Learn to apply the Entropy Model to effectively manage risk to pursue production/productivity, quality work outcomes and EHS incident mitigation concurrently, using a multi-disciplinary approach. Understand that the organizational culture, leadership and capability are also subject to degradation which negatively impacts the business’ capacity to manage risk effectively and achieve the desired performance outcomes. Understand that at all levels of the organizational hierarchy, a four-fold strategy should be applied to manage residual risk and prevent the entropic risk caused by degradation. Recognize the reciprocal relationship between individual choices whether to manage risk or to take risk and the organization’s risk management culture, as illustrated using the ‘Positive Pay-off Model’. Learn that there are ‘operational risk traps’ that hinder the development of concurrent top-down and bottom-up strategies aimed at preventing incidents and losses. Learn to use tools such as the ‘Values Statement’ and ‘Reasonableness Test’ to align strategic and operational decisions to EHS objectives and the desired risk management culture. Apply situational leadership geared to the level of risk of the task and/or total business EHS risk profile depending on one’s level of authority. Clarify the critical role of the EHS professional in providing sound technical knowledge and capacity to build a risk-based organizational culture aligned to the Journey Maturity Model. Be challenged to undertake a transformation from safety-based thinking to risk-based thinking by which production/productivity, quality work outcomes and EHS incident mitigation are pursued concurrently using a multi-disciplinary approach. From 2002 to 2012, Tania provided HSE consulting services to Chevron’s Gorgon Project, Monadelphous, Baker Hughes, Fortescue Metals Group and Worley Parsons. 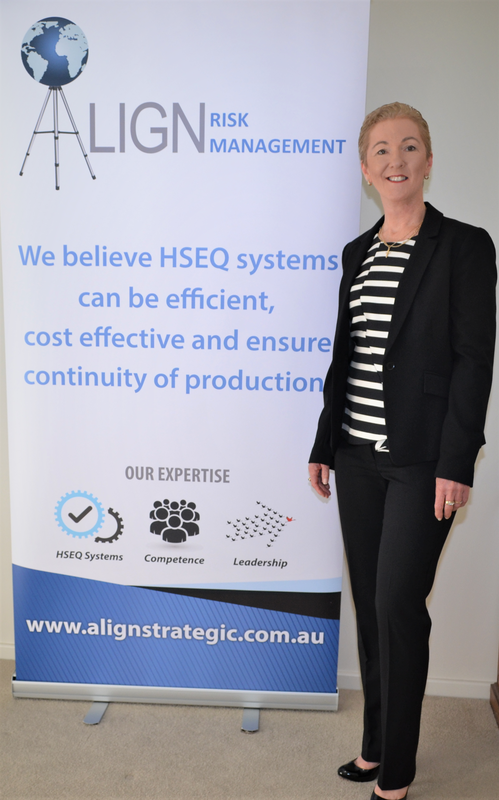 Thereafter for 5 years, Tania took a HSE Manager’s role with AngloGold Ashanti Australia where she made significant improvements taking the department from ‘vulnerable’ to ‘proactive’ on the HSE journey. Having built robust management systems to ISO 14001 and 18001 OHSAS Standards, she was sent to Colombia to ensure the team there achieved ISO 14001. 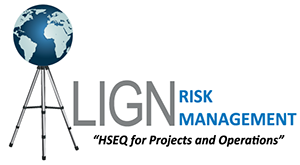 In late 2016, her company was rebadged to Align Risk Management specialising in HSE Consulting and Risk Leadership Programs for managers, supervisors, HSE professionals and workers. Her chapter on ‘Risk Leadership – A Multi-Disciplinary Approach’ has been accepted by the American Society of Safety Professionals and will be published in EHS Leadership and Professional Development ahead of the ASSP’s 2018 Safety Conference. Tania will be doing a series of forums for WorkSafe Tasmania on Effective Risk Management, in October 2018.